Little ❤️ M·A·C is a selection of your favourite products is available in petite sizes. Keep your face cleansed, refreshed and hydrated en route with Demi Wipes, Prep + Prime Fix+ and StrobeCream. Try a pop of colours with the new mini Lipsticks, Lipglasses and Pigments in bestselling shades. 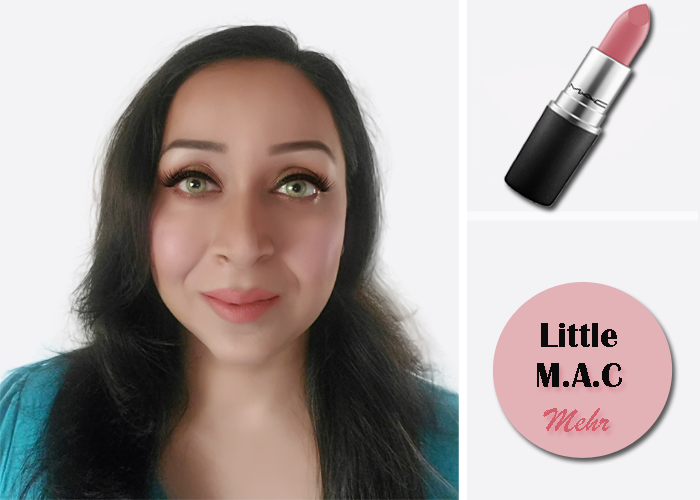 The New Little M.A.C looks petite once compared with the original M.A.C Lipsticks it is priced at INR ₹900/- for and ₹1200/- for Original Size at Nykaa and M.A.C Stores. 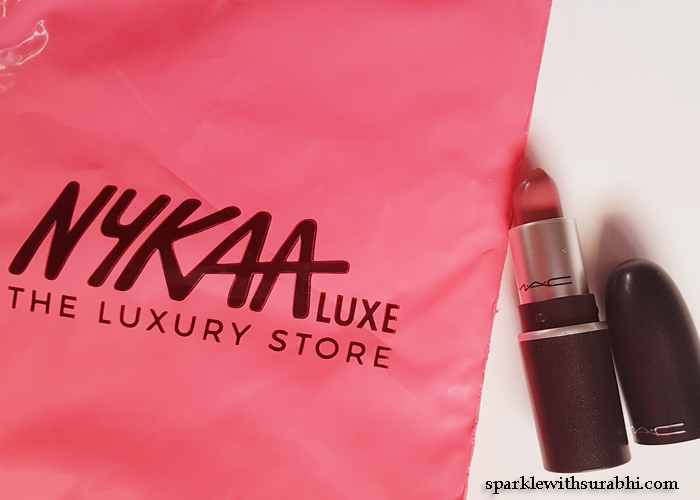 If you do not have time to go to mall, no problem just order online with nykaa store or download their app for even faster experience. I found the Little❤️ M.A.C Collection extremely practical for modern cosmopolitan lifestyle and even for travelling, as they much more lighter and easier to carry in the smallest clutch. You carry more while travelling to your favourite destination. 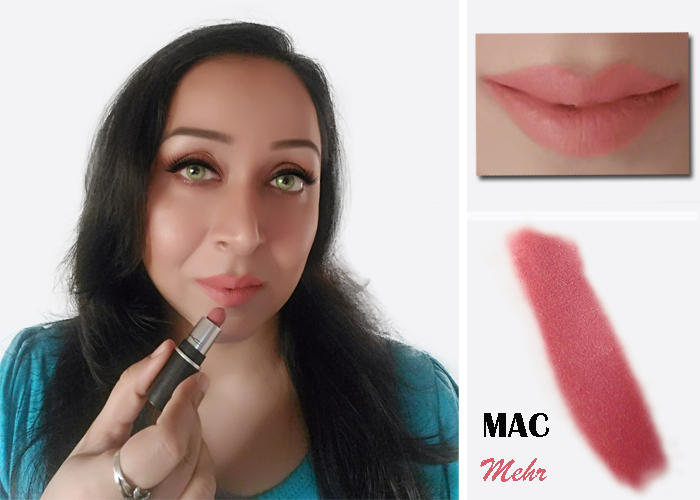 Mehr is a subtle neutral pink. It has a matte finish, but it is incredibly creamy and not at all drying. It feels much more like a satin finish but actually, It has a matte finish. The color coverage is opaque, and the finish is mostly matte. The texture is soft and creamy. 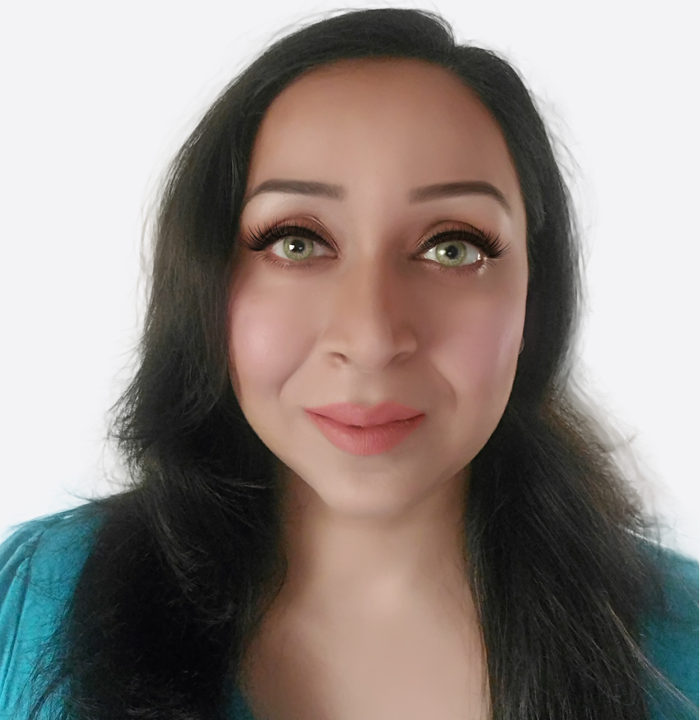 This is a beautiful colour for all Indian skin tones, Fair to Dark. It is one of the most popular and fastest selling shades of M.A.C Cosmetics and now is available in Little ❤️ M.A.C Collection. This shade was launched in 2010 in the Mickey contractor collection. 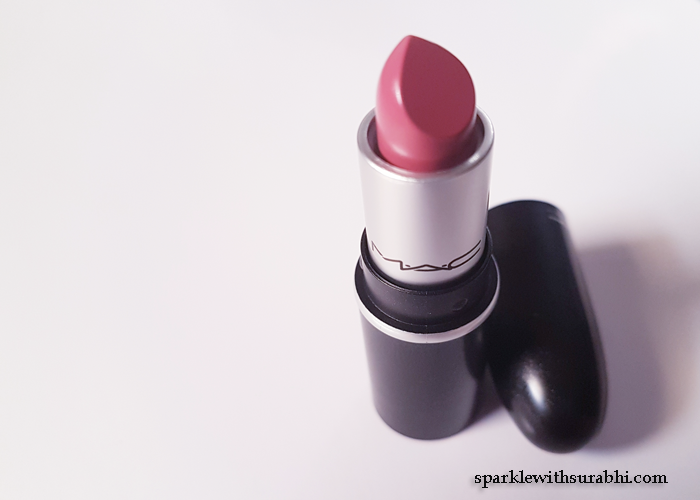 "A little Lipstick in M.A.C's bestselling shades. Available in ten hues and two textures. The iconic product that made M.A.C famous. 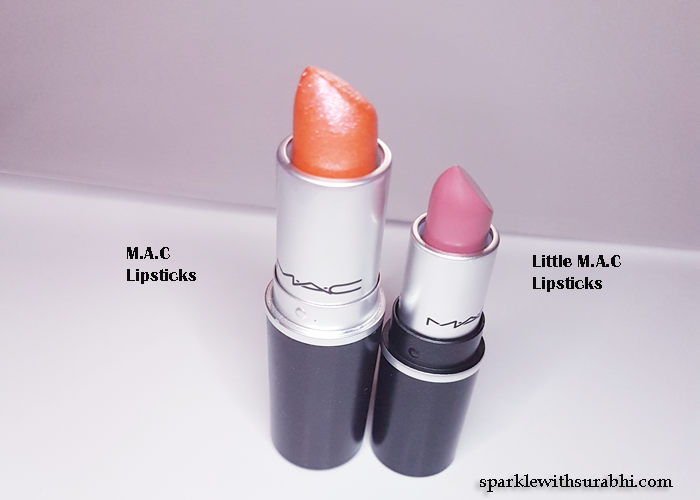 All Little M.A.C products are totally tote-able in convenient mini sizes."